The challenge this time, is to "use your favourite colour"
and I LOVE this image from A Day For Daisies. and embossed and inked around the edge. had embossed with flowers, through my bigshot. and added some small punched butterflies and liquid pearls. The image was coloured with promarkers. Stunning creation. Thanks for joining our ATG challenge at Lil' Patch of Crafty Friends. Good Luck. Hope to see you again soon. 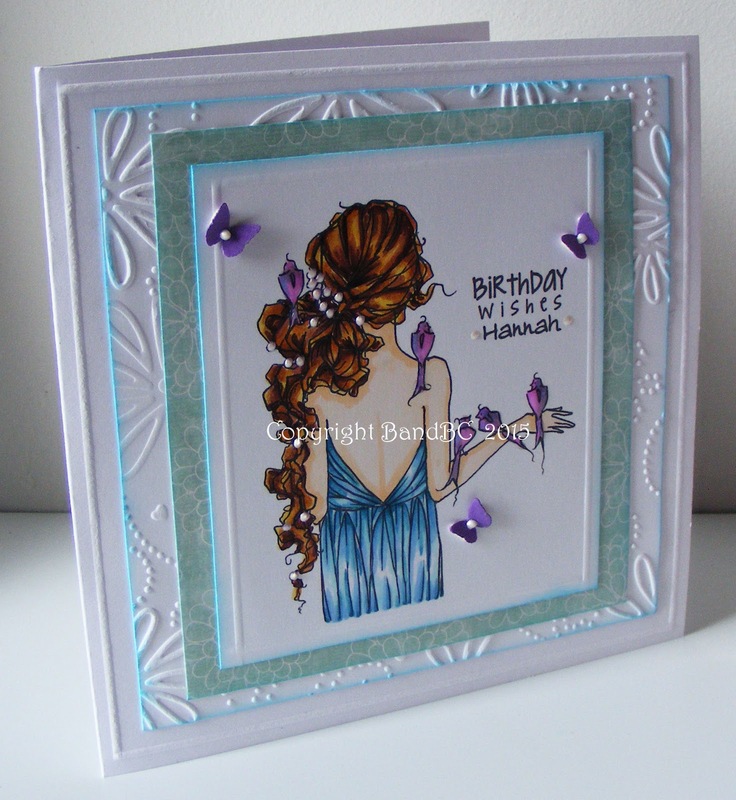 I really like the embossing on your card and the colors are beautiful! Thanks for playing with us at Craft Your Passion! Gorgeous card! Thank you for joining us at Lil Patch of Crafty Friends!